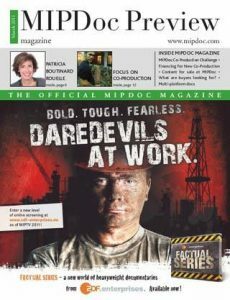 MIPDoc is the world’s leading factual content screenings and conference. It will mark its 20th anniversary with a rich line-up of world premiere screenings and keynotes from some of the documentary genre’s global heavyweights. 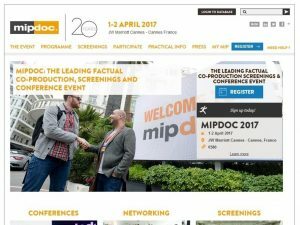 Organised by Reed MIDEM, MIPDoc takes place in Cannes, France, on 1-2 April 2017. MIPDoc hosts a series of premium coproduction events and unique opportunities to discover new projects for commissioning including History, Nat Geo, Discovery, eOne, A&E, ZDFE.factual (Germany); NHNZ (New Zealand); PBS (USA); CCTV9 (China); ARTE (France), NHK Japan, and broadcasters from every global market. MIPDoc is a key launchpad for premium international titles. This year’s edition features two World Premiere Screenings of major international coproductions. John Wesley and the team are thrilled to have Arcadia’s new series Secret Societies: The Struggle For Power selected from thousands of new projects to be presented in Cannes. This new 4K docudrama series follows up on Arcadia’s success exploring the inside stories of the Freemasons, Knights Templar, Apostles and other Secret Soceities. There are two kinds of power in the world. One seen. One unseen. There are swords. And there are secrets. Down through the ages secret societies struggle for power. Each episode of this new series follows explosive headline news and charts the birth, rise and fall of an epic Secret Society, it’s relation to the larger world, and its enemies. ← Arcadia Wild news site now live!